Just in time for Paddy’s Day, look at this most patriotic of salads. Granted, none of the ingredients are Irish, but they are the colours of the tricolour, so that’s good enough, right?! 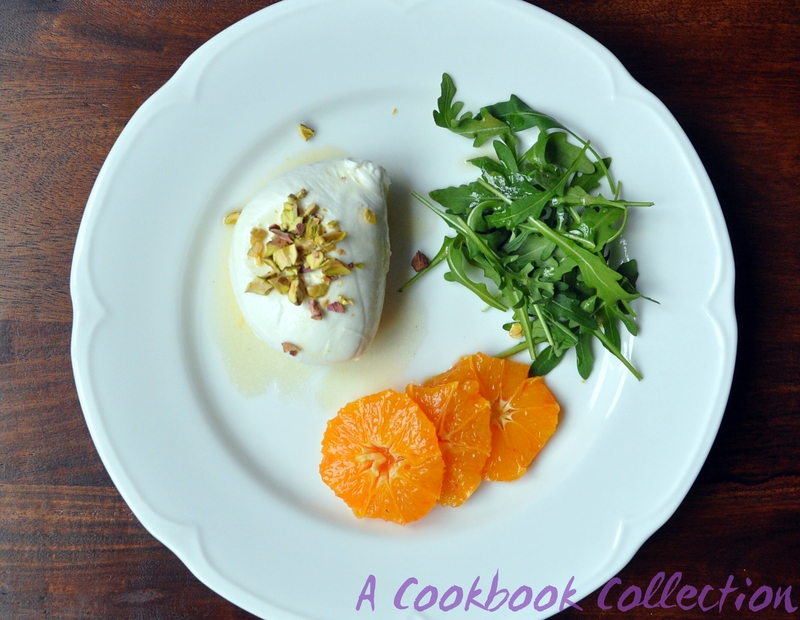 I have been holding off posting this recipe because I wanted to make it with burrata, a milder, creamier mozzarella type cheese. Unfortunately, I couldn’t get burrata, despite being told it should be available by now. So I went with fresh buffalo mozzarella instead. The problem with holding off on making it is that it is the end of the blood orange season, so while the oranges here are correct, they don’t look as good as the ones available a few weeks ago. 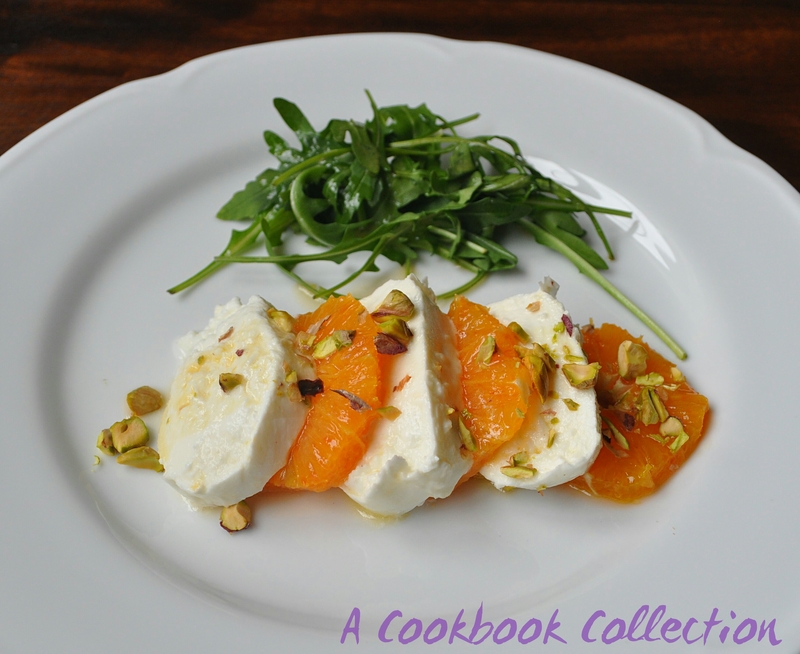 You can use ordinary oranges to make this salad too. If you can’t get a hold of white balsamic vinegar, use white wine vinegar in its place. First, make the salad dressing. Put the orange juice, vinegar, olive oil and a pinch each of salt and pepper into a clean jam jar and shake vigorously. Taste the dressing, season as needed and set to one side. 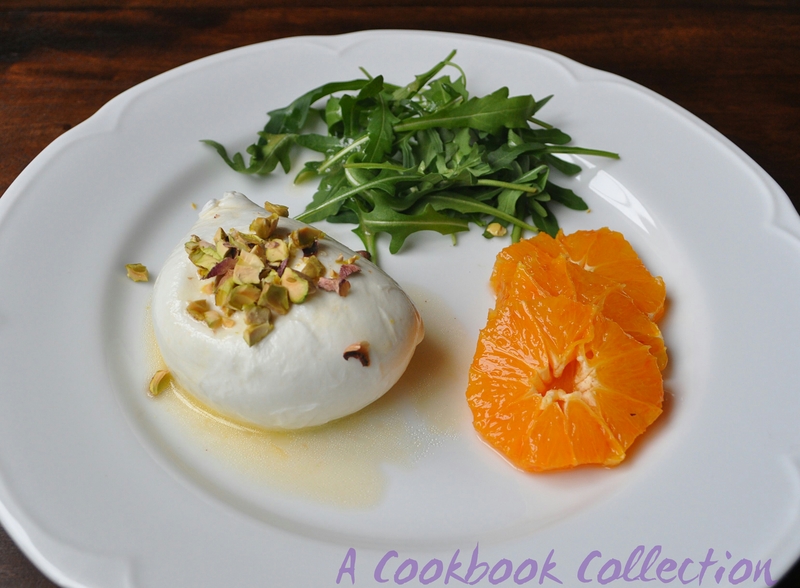 Slice or tear the mozzarella or burrata and divide between 2 plates. Slice the top and bottom off of the oranges and slice off the peel. Make sure to remove all of the pith and the slice up the orange. You could cut it into segments if you prefer. Add it to the cheese on the plates. Lightly dress the rocket in the orange dressing – you may need to shake the dressing before using if it has separated. Drizzle some more of the dressing over the orange and cheese and sprinkle some chopped pistachios on top. Serve immediately. Very pretty and unique! Thank you for sharing.